FRANKFURT (Bloomberg) -- Volkswagen's Audi division, the world's second-largest maker of luxury cars, plans this year to further narrow the gap with market leader BMW and keep Daimler's Mercedes-Benz at bay. "This is our intention," CEO Rupert Stadler said today at the World Economic Forum in Davos, Switzerland. "Competition is very strong" in the premium-car segment, "but this makes us even stronger," Stadler said in a Bloomberg Television interview. Audi's deliveries rose 8 percent to a record 1.58 million cars and SUVs in 2013, driven by the revamped A3 compact and surging demand for the Q5 and Q3 SUVs. Luxury-car sales have outpaced mass-market vehicle deliveries in recent years as incomes rise in countries such as China and spending bounces back in the United States. Audi has a target of overtaking BMW as the world's biggest maker of premium vehicles by the end of the decade, a title BMW has held since dethroning Mercedes in 2005. BMW's lead narrowed to 79,600 vehicles more than Audi last year and 193,500 more than third-placed Mercedes, which has outgrown both its competitors in recent months on new models such as the CLA compact four-door coupe-styled sedan. Audi is rolling out a new sedan version of the A3 hatchback in the U.S. and China to lure buyers looking for a compact car with separate trunk space and will introduce a revamped version of the TT sportscar later this year. Stadler today reiterated Audi's plan to expand its product range to about 60 models from 49 to boost annual sales to at least 2 million vehicles by 2020. Widening its range of SUVs is a cornerstone of Audi's expansion strategy. 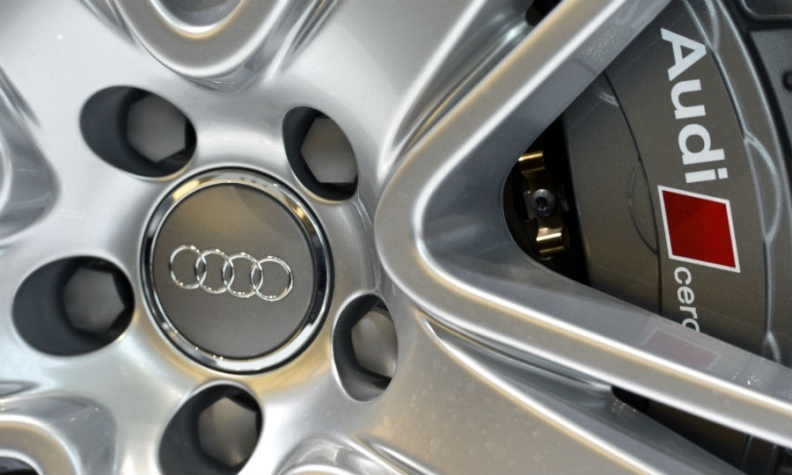 Audi said on Dec. 2 it will add the subcompact Q1 SUV in 2016 to "round off our Q series at the bottom end." It forecast SUVs will account for more than 35 percent of total production at the end of the decade, compared with about 28 percent in 2013. Audi is the largest earnings contributor of Volkswagen and profits from the upscale unit are critical to funding the parent company's bid to become the world's biggest carmaker by 2018.